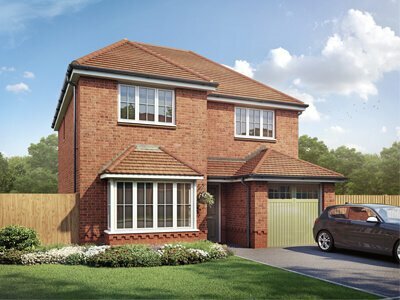 Situated on Prescot Park, which can be found on the outskirts of the Merseyside town of Prescot, Carr’s Rise is a stunning development of high quality 3 bedroom semi-detached and 3 and 4 bedroom detached homes ideal for first time buyers and families alike. Carr’s Rise is ideally located just minutes away from junction 2 f the M57 which opens up the town to the extensive motorway network throughout the North West and further afield. Prescot lies just over eight miles east of Liverpool and heading down to M57 and A580 will take you straight into the city centre. Prescot train station is located just 0.4 miles away from Carr’s Rise and runs direct services into Liverpool Lime Street with a journey time of just over 20 minutes and Wigan North Western. We have a range of schemes to assist your move including ‘Help to Buy’ and our very own ‘Move Simple’ and ‘Forces Discount’ schemes.